The bulldog-like mug of J. Edgar Hoover has long been synonymous with the FBI, a world-renowned law enforcement agency forever hyper-sensitive about its public image. Still, Hoover’s legend has taken its lumps over the years. 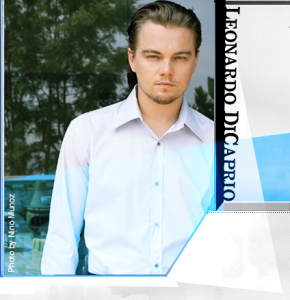 Now comes the latest: an upcoming movie directed by Clint Eastwood and starring Leonardo DiCaprio as Hoover, in which the iconic G-man reportedly has a romantic affair with FBI Associate Director Clyde Tolson, his constant companion and alter ego. Word of the movie — with the working title “J. Edgar” and slated for release later this year — is already stirring feelings among current and former FBI agents and employees, and raises the question: What does the legacy of J. Edgar Hoover mean to today’s FBI? 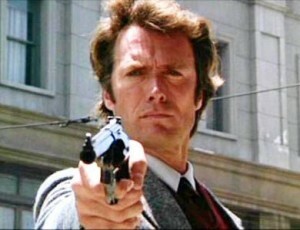 Some agents don’t care how Hoover is sexually portrayed in the movie. But there are plenty of others who do, who admire Hoover and feel his reputation is being unfairly besmirched as head of an agency that is still considered conservative and male dominated. Whatever the case, there are those who say the FBI has moved on. It is certainly not the first time agents have seen Hoover portrayed in a fashion they find less than flattering. There have been articles and books and YouTube videos portraying him as a sexist and carrying on an affair with Tolson — and yes, even being a cross-dresser. In his later years, he was accused of overstepping his bounds, harassing political dissidents, building files on enemies and becoming far too powerful. But a movie — which can sometimes have broader impact these days than print in shaping public opinion — has some current and former agents and employees uneasy. Greg Stejskal, a retired 31-year veteran of the FBI and a columnist for the website ticklethewire.com, says Hoover should get credit for creating a first-rate law enforcement agency that lives on today. “I think most of my generation and prior to that think Hoover has been done a disservice,” said Stejskal, who concedes that Hoover was far from perfect. 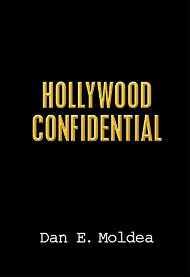 “He’s been vilified in the media, in Hollywood,” Stejskal said. “Unfortunately, he’s not around to defend himself. I think he’s blamed for a lot of things. But people forget things like the wiretaps on Martin Luther King were signed off by Attorney General Robert Kennedy and the Kennedy brothers sat around and listened to some of the tapes, and they didn’t complain then. 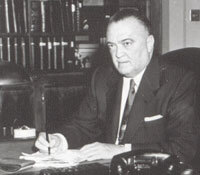 Hoover first became director of the Bureau of Investigation in 1924 and 11 years later helped found the FBI, which he headed up until his death on May 2, 1972, at age 77. Some agents and former agents referred to him as a trail blazer in law enforcement, a man who created a sophisticated machinery that relied on science and a world-class fingerprint collection and electronic listening devices. Most agents agreed that the tactics Hoover used early on in his career did not play well, particularly in the late 1960s and early 1970s. By the time he left, the FBI had no female employees and relatively few African-Americans. Former agent Terry Booth says that even though he arrived at the FBI in 1983 after Hoover had long passed, his presence was felt. But some agents dismiss concerns about the new movie. “Is he important? Yes, as the founding father. Is he George Washington? No,” said William M. Baker, who worked under Hoover, was former assistant director of the FBI at headquarters and is a director of the J. Edgar Hoover Foundation. But he dismisses suggestions that Hoover had a romantic tie to Tolson. Posted: 1/10/11 at 6:14 PM under FBI, Special Report.